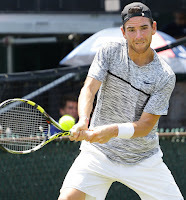 This was my first ATP 250 event and the first time I had ever set foot in Rhode Island. 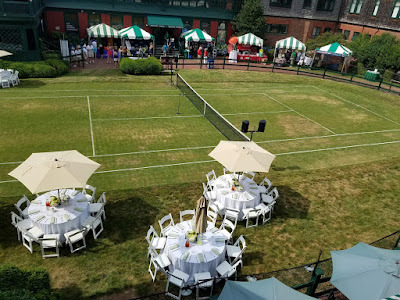 The Grass Court location that hosts the Hall of Fame induction felt and looked just as very classy and New England traditional as I had seen many times before on TV. It is here that many have witnessed the highly decorated heroes of tennis become enshrined forever. Andre Agassi had so much charm and admiration for his wife on his big day in memorable acceptance. He had an even more emotional and beautiful speech in tribute to his wife Steffi Graf. The induction ceremony is held right on top of the center court. This year it would be Roddick and Clijsters who would join their ranks. 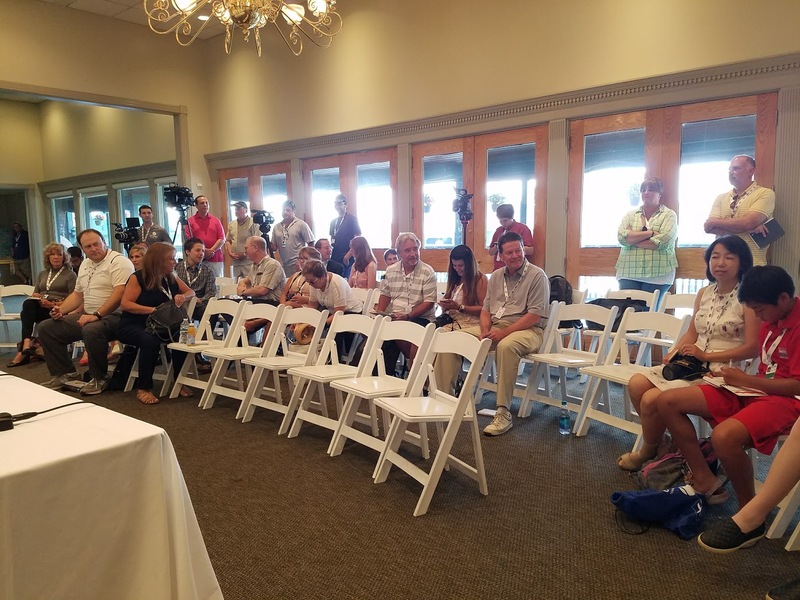 The history of the location and my desire to be at a Grass tournament made this trip another one with only a short notice that my credentials were ready, but I was excited to go. 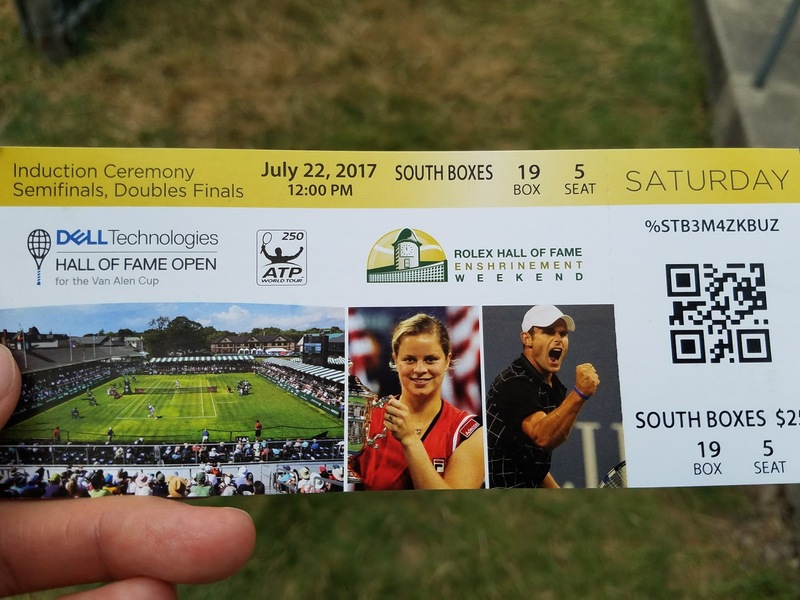 I have worked many years with Dell and EMC Technologies in the IT business so it was extra special to go to this event and see it first hand. This is the closest thing to Wimbledon in the USA if you can't make it to London this July! Many Americans can appreciate real grass court tennis without a passport and an expensive trans-Atlantic flight. 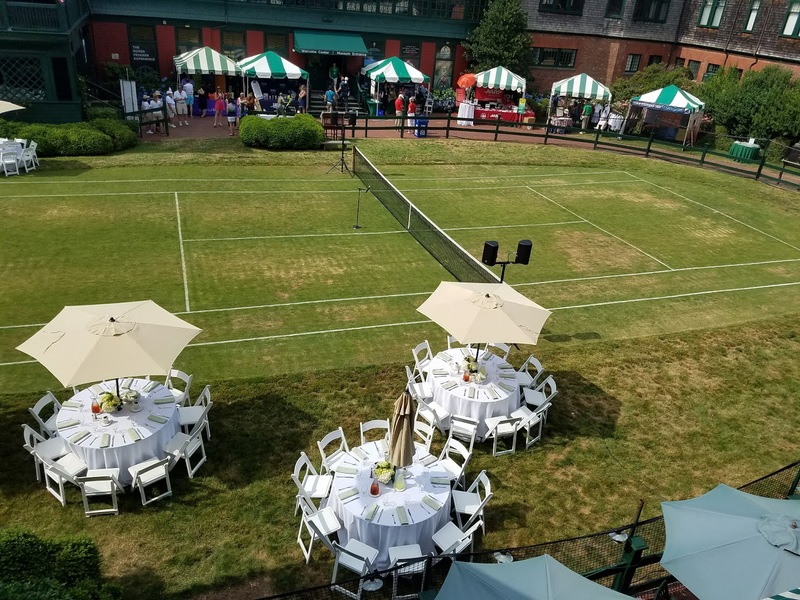 The unpredictable nature of the fast grass courts makes for an entertaining match where the serve and volley game still has an advantage. Points are shorter and winners are more common when compared to the hard courts. You will see top 100 players and grass tennis players come to this event, post-Wimbledon. They even feature a USPTA clinic every 30 minutes for fans of all ages to try out hitting with a wooden racket on the center court. 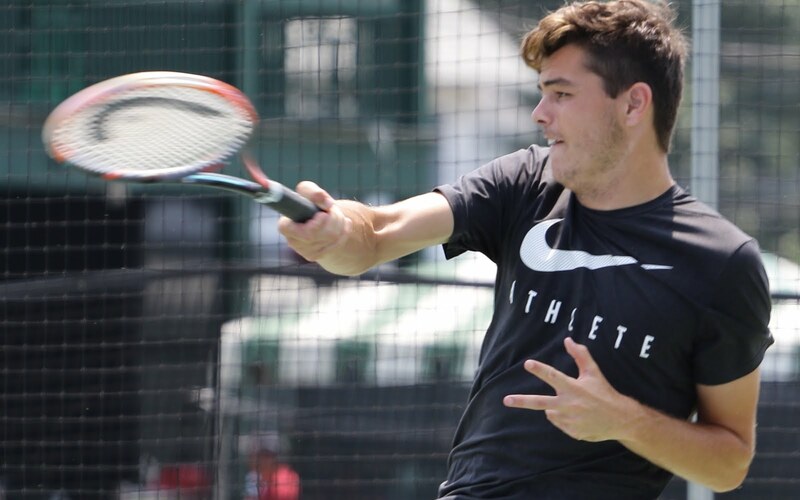 Kids from all over New England traveled there on school field trips to participate in the Net Generation clinics held on the hard courts as well. It is a very family friendly event and location. The courts are very close together and easy to stroll from one end to the other in just a few minutes. Some photos around the grounds at the Dell Technology Open. Brentan and Anne Marie were both top notch in terms of support and accommodations during the whole event and tournament. I had a chance to meet some of the all-time greats of Photography and Journalism while chatting with the Media. There was one brave young boy (and aspiring journalist at school) who came to the event with his Mom from Connecticut (pictured on the right side of the media room) even got to ask the final question of the interview. The museum went through a recent modernization effort to digitize so much of the memorabilia, which not an easy feat, when given how long the sport has spanned. 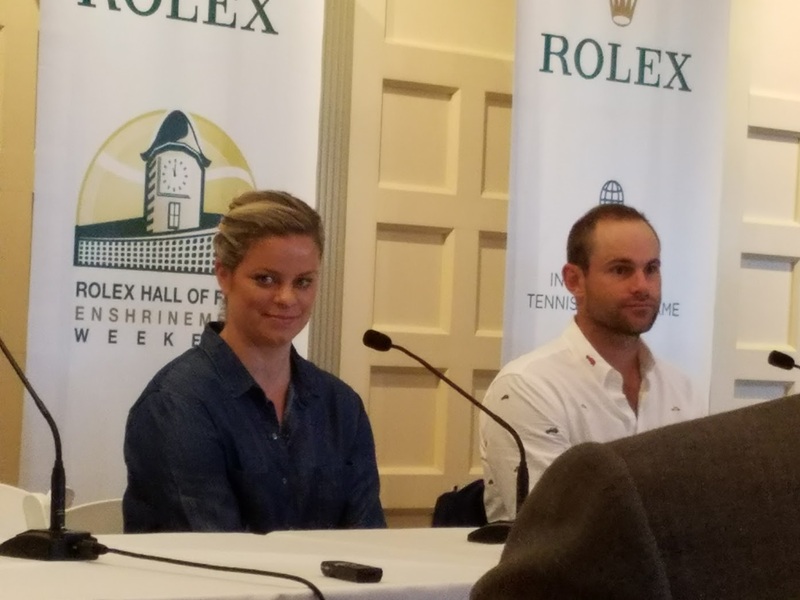 Being a part of the Andy Roddick and Kim Clijsters induction ceremony was a very special moment in tennis history. The museum manager allowed me to get a few early access photos inside just before the crowds came through after the Fashion Show. Kim even had on a special outfit designed specifically for her. Many of the tennis players including Isner participated in the fashion show as well. It was a fun and enjoyable time to take some photos at their annual Fashion Show as well. Designer pieces and models from Fila and Brookes Brothers showed off their threads in a catwalk along the grass. 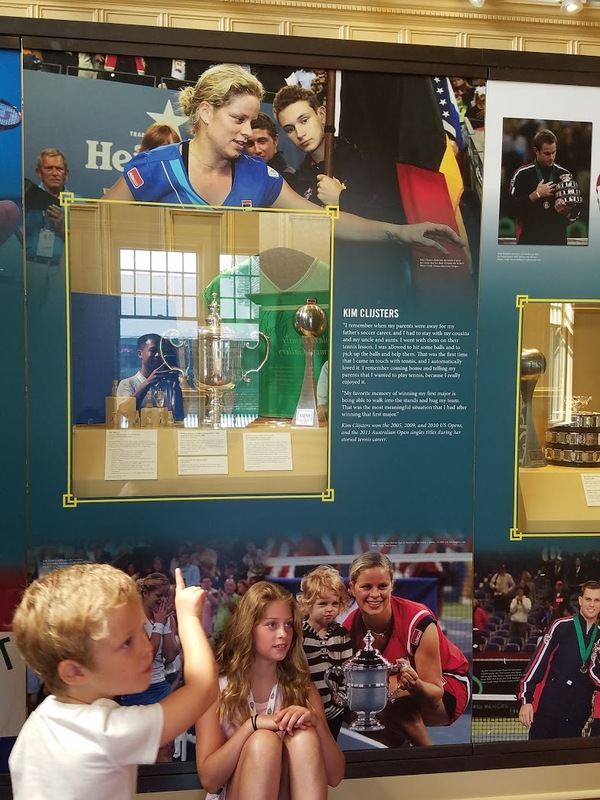 I managed to get a few pictures of young Jaden (Kim's daughter) posing next to her own iconic image at the US Open was magical. Newport is a very quaint and wealthy little town near the water. It has a couple of toll bridges to drive over before coming into the old town. Other areas of interest include doing the Cliff Walk and seeing some of the wealthiest family homes from the Gilded Age of America. I would also recommend the American Illustration Museum as a nice break from the sun and a hidden gem in town. A short day trip out to Cape Cod also allows for some site-seeing just outside of town as well. 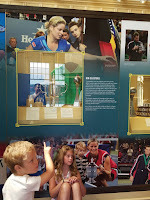 I would highly recommend visiting the Tennis Hall of Fame if you are in the Rhode Island or Cape Cod area. Although it was quite warm in July, it was the perfect beach weather for New England.